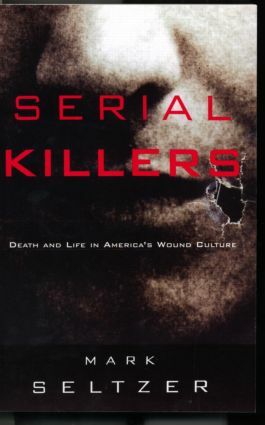 In this provocative cultural study, the serial killer emerges as a central figure in what Mark Seltzer calls 'America's wound culture'. From the traumas displayed by talk show guests and political candidates, to the violent entertainment of Crash or The Alienist, to the latest terrible report of mass murder, we are surrounded by the accident from which we cannot avert our eyes. Bringing depth and shadow to our collective portrait of what a serial killer must be, Mark Seltzer draws upon popular sources, scholarly analyses, and the language of psychoanalysis to explore the genesis of this uniquely modern phenomenon. Revealed is a fascination with machines and technological reproduction, with the singular and the mass, with definitions of self, other, and intimacy. What emerges is a disturbing picture of how contemporary culture is haunted by technology and the instability of identity.